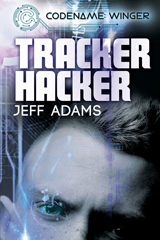 Tracker Hacker, the first book in the Codename: Winger series, is set to release on October 17. Each stop will feature some behind the scenes info about the creation of the series and characters, usually along with an excerpt. Plus, someone from each stop will have the chance to win an ebook copy and one lucky person, pulled at random from everyone that enters on the tour, will be selected to win a autographed paperback. Make sure to visit each stop and get your entries in the Rafflecopter to win. Congrats, Jeff. I so love the premise of this, and all the stops. On the last one, All the movies/tv you mention are also favs of mine, as well as one you mentioned in an earlier post, War Games. All the reasons why this is a must read for me. Thanks, Purple Reader. I hope when you read it that you see all the influences come through, and of course that you enjoy Theo’s adventure. Congratulations on the release of Tracker Hacker. 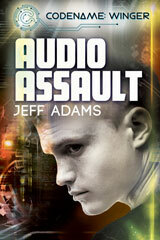 I love the cover and the blurb has me intrigued. 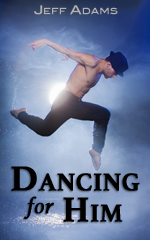 I enjoyed reading and watching all the posts on the blog tour. Thanks, Angela! I’m glad you enjoyed the tour. I hope you enjoy the book when you read it.